Are you experiencing pain in the heel of your foot? It may be caused by Achilles tendonitis, an inflammation of the Achilles tendon. 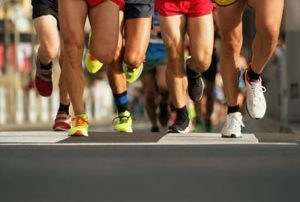 This heel condition may be due to increased activity or stress to your feet and/or legs, and if left untreated, your condition can turn into chronic Achilles tendinosis. If you suspect that this may be the reason for your foot or ankle pain, you should consult our award-winning podiatrist for help with your Achilles pain near Birmingham, MI. If any of these symptoms sound familiar, it may be time to seek professional care from a podiatrist. In general, three stages occur when the Achilles tendon is inflamed. Stage one: Peritenonitis – During this stage, there is localized pain that occurs during or after activity. As the condition gets worse, the pain will often increase and intensify. Stage two: Tendinosis – This is a degenerative condition that generally doesn’t have a lot of symptoms. However, you might experience a hard knot at the back of your leg or some swelling. Stage three: Peritenonitis with tendinosis – During the third stage, you will experience pain and swelling with activity. As it progresses, you have the potential to rupture the tendon. Contact Us to Schedule an Appointment with Our Expert for Achilles Pain near Birmingham, MI, Today!